Wisconsin has 120 designated opportunity zones, all of which are low-income communities. Wisconsin did not designate any eligible non-low-income contiguous tracts as opportunity zones. 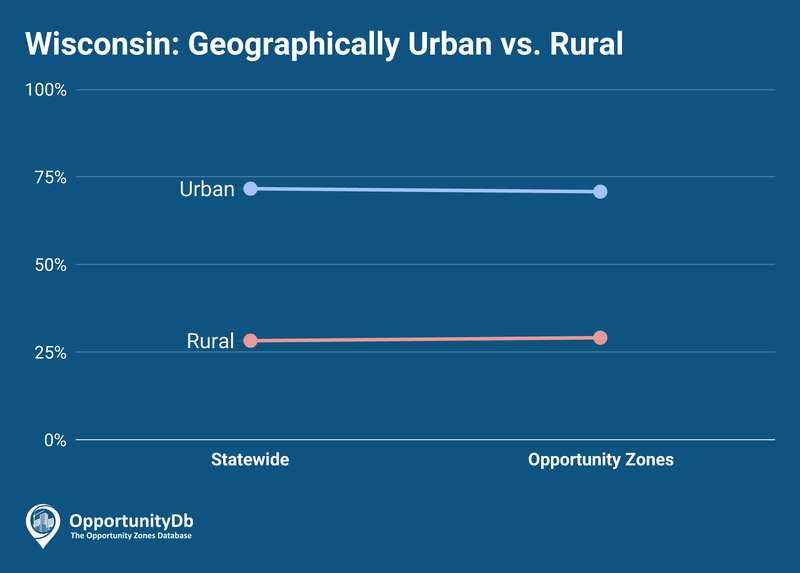 Wisconsin’s opportunity zone urban-to-rural ratio is nearly identical to the statewide ratio. Among Wisconsin’s 120 opportunity zones, 71 percent are urban, and 29 percent are rural.